Digital Printing Industry aims more and more at responding to customers’ needs by developing the textile transfer market. 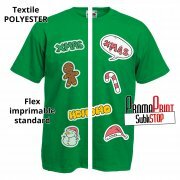 Taking into consideration this trend, we focused on improving and enlarging our printable range (PU, PVC, Paper). Compatible with all solvent and eco solvent equipments, PromaPrint range is easy to print and cut, using application tape and transferred with a heat press. One of its main advantages is its capacity to be applied on special media such as nylon, luggage. For more efficiency, we recommend to make some tests prior to using. This range is declined in different patterns and qualities for dark and light textiles. This polyurethane range meets environmental requirements. FITI® lab report confirmed the non toxic properties of this material, excluding PVC and heavy metals. PU film is thin, which procures a soft textile touch involving a high wearing comfort. Printing process has been improved thanks to a faster ink drying and a better printing quality. All these features will allow you to launch big productions without any special care. Moreover, application tape will be easier to apply thanks to its non curling effect. 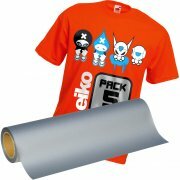 Printable Flex for clear textile - QUICK TRANSFER ! 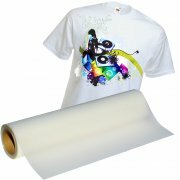 Printable Photo luminescent flex with solvent and eco solvent, thickness 100microns, on light and dark textiles. 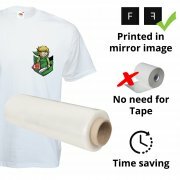 Printable white Flex with 3D effect !